Home and business owners who work with contractors are making a major investment in their property, and they expect to get the most for their money. They want reasonable prices that are competitive along with the highest-quality service and craftsmanship available. They’re looking for contractors who offer premium materials and superior work. You need to make your team stand out from everyone else, and you need to do so in a cost-effective way. Nalboor can help you reach those goals by providing you with low-cost, premium tiles and excellent customer service. When you have demanding customers, you need to offer quality products that are durable, timeless and elegance. Nalboor is your one-stop shop for floor tiles, engineered stone and mosaics because we have the best selection available. We carry a range of colors to suit every design style, and we can also help you with special orders. Whether your customers want beautiful travertine to line the shower walls or are looking for Crema Bella marble to create a luxurious dining area, we have the perfect tiles in stock. When you work with multiple vendors, you have different billing terms to notate, various shipping schedules to coordinate and different numbers to call when there’s a problem. A delay in one area can slow down the entire process. Ideally, you want to work with companies that strive to provide you with excellent service, so you can keep everything on track and in budget. When you work with Nalboor for your natural stone tiles, you’ll enjoy the convenience of one-stop shopping. You’ll only have to place one order at a time, and you can trust that we’ll get everything to you in a timely manner. There’s only one invoice to enter, track and pay. You’ll also save on shipping by ordering the tiles in bulk, and you’ll appreciate our professional customer service team if you ever have problems or questions. When you’re struggling to keep your rates competitive, the first place you should look is at your own costs. Trimming costs and eliminating waste allows you to save money without making any sacrifices to quality. Even if you’ve trimmed costs as much as possible with your business practices, we can help you save more by lowering your cost on supplies. We offer wholesale pricing for high-quality products, so that you can keep your costs low. Items are crated and shipped together whenever possible to reduce the cost of shipping. We understand that breakage during shipment is an expense our customers want to avoid. We take steps to carefully wrap and protect tiles before they’re sent out. This reduces our breakage levels and keeps them below the industry standard of 10 percent. This stretches your budget a little further to help you improve profit margins. The savings can be reinvested in your business, or you can pass them on to clients to give you a powerful competitive edge. We know that the stock options won’t work for every project, and that’s why we also help our customers with special orders. When you have a specific dimension or style in mind that we don’t carry, we can order it for you. It will take us a little longer to order the materials and have them custom manufactured, but we’re happy to take care of this for our valued customers. When you place the special order, we can advise you on the time frame and any additional fees that may be incurred. The special order stones will be the same excellent quality, and we’ll provide you with the most attractive price possible. We appreciate that you’re trying to run a successful business, and we’re here to help you reach your goals. Our customer service professionals are highly experienced and can answer any of your questions. They can help you place orders, track shipments and step you through any custom orders. Our top priority is your satisfaction, so you can count on us for quality service. As you develop your client base, you’ll be rewarded with more referrals. Customers will tell their friends that you installed the stunning Marmo Glass in the bathroom or did the mosaic in the foyer, and their friends will call you with their next big project. They may want the same materials that they saw in another client’s home, so you need a supplier that can provide you with the most stable inventory. We have solid relationships with the quarries and manufacturers, so we can provide you with the same quality stones year after year. While there may be some variation in our supply, we do everything in our power to ensure that you can get more natural stone tiles when you need them. Nalboor is your one-stop shop for marble products in South Florida and beyond. We cater to contractors who have discerning clients and need premium materials. 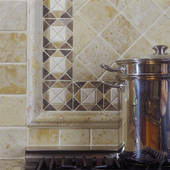 In addition to serving people in the greater Miami area, we also ship tiles to locations around the country. We take steps to keep our prices low and pass those savings on to you. Our wholesale prices will help you lower expense, and our quality products will help you make a great impression on all of your customers. Our customer service team is standing by to help you place orders, and they’re happy to answer any questions you have. When you’re working hard to build your business, let us help you with our simplified ordering process, superior customer service, low prices and quality products. Contact us today through our online form to learn more about our available inventory and place an order for your next project. You may also call us at (305) 501-4548 to speak to one of our professionals from the most affordable marble wholesaler in Florida!